Virat Kohli wasn’t offering any excuses at the end of the 3-2 ODI series defeat at the hands of Australia. Not dew, or the fact that a fair bit of time and effort during the series was spent on trying out different combinations keeping the World Cup in mind. For him, Australia were the deserving winners. As for the bigger picture – the World Cup – the team is “more or less sorted with what we want to do”. Of the batsmen, Rohit Sharma and Shikhar Dhawan, the openers, and Kedar Jadhav and Kohli himself played all five games. Vijay Shankar, the allrounder, too. But KL Rahul got just one game. Rishabh Pant two. And Ambati Rayudu three. Surely that is a worry. “Not really. We are more or less sorted with what we want to do,” Kohli told Sanjay Manjrekar at the post-match presentation ceremony in New Delhi. “Now it is just about giving guys their roles and expecting them to stand up and deliver during the World Cup. 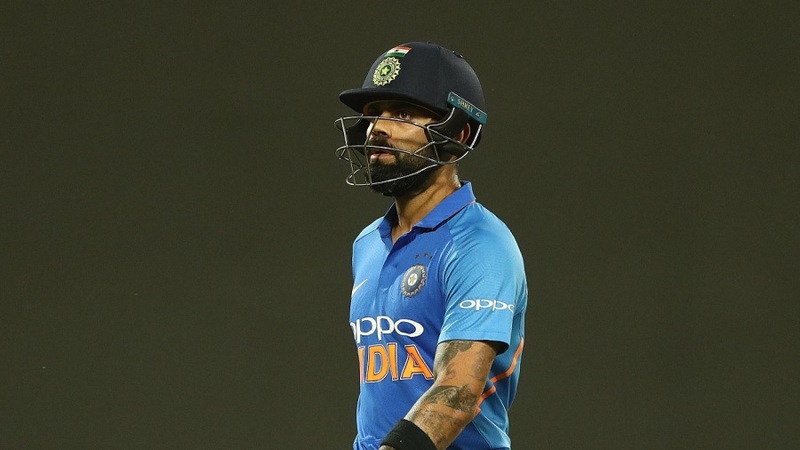 Kohli agreed that the last three games – India’s last before the World Cup in England and Wales – were used to experiment with the line-up. “Last three games was an idea to give the guys on the bench and the fringe guys a bit of game time as well and just put them in those positions and see how they react. And you couldn’t have tried that anywhere else apart from those three games. That is not an excuse at all because we expect to raise our standard of cricket. The changes is not an excuse. It will never be an excuse. But we used these three games to give game time to guys who we think are good enough to perform at this level,” he said. As for the series finale, at one stage it looked like Australia, after they had opted to bat, would get to just about 250 or thereabouts. They were 228 for 6 after 45 overs, after all. That became 230 for 7 after 46, but Jhye Richardson hit a 21-ball 29 to lift them to 272 for 9, which proved 35 too many for India. “We certainly thought it was gettable, we thought they got away from us at the end a little bit. I think 15-20 (runs) more than what we expected,” Kohli said. “But that’s the way the game goes and one or two overs can make a whole lot of difference.